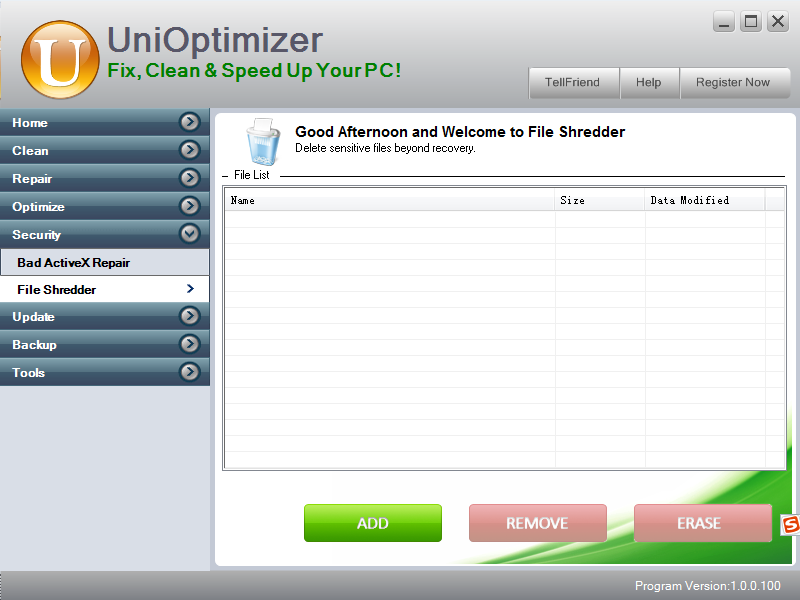 Since my computer starts up extremely slowly(takes more than 5 minutes), I decide to use UniOptimizer to find what happened to my computer. 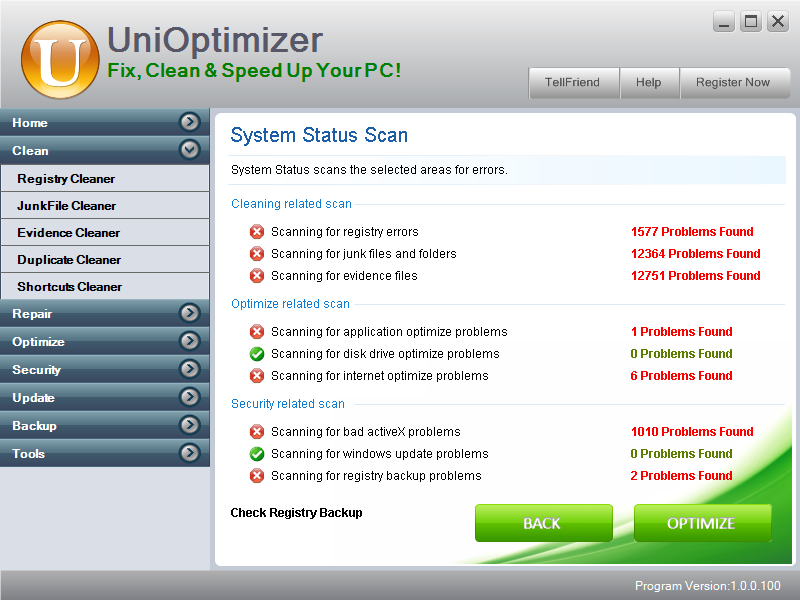 The scanning result is astonishing: I got 1577 registry errors(although I think there must be some errors in the registry, I do not expect so much errors). The 1010 activeX problems are also out of expectation. The large number of junk files are mainly temporary internet files which I wonder why were not deleted when I used the clean history function of the browser. No doubt my computer starts up so slowly. 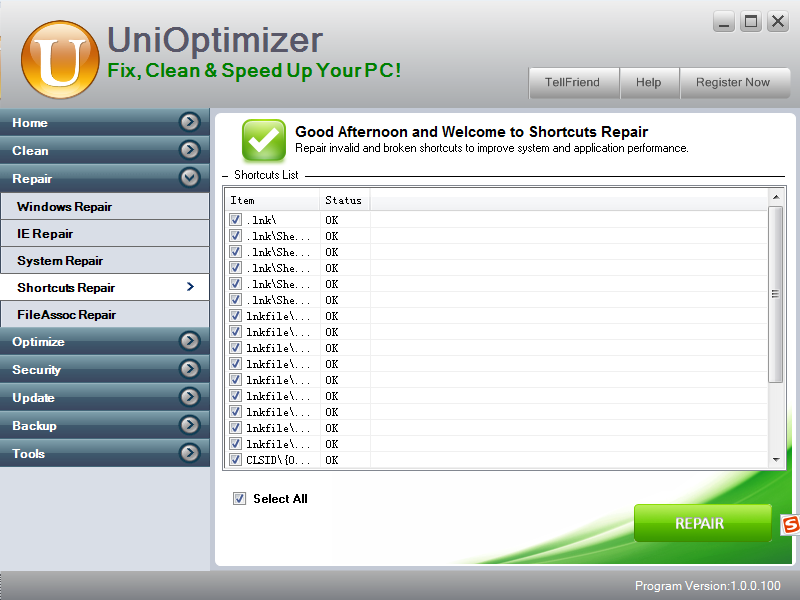 UniOptimizer is an all-in-one PC optimization tool. 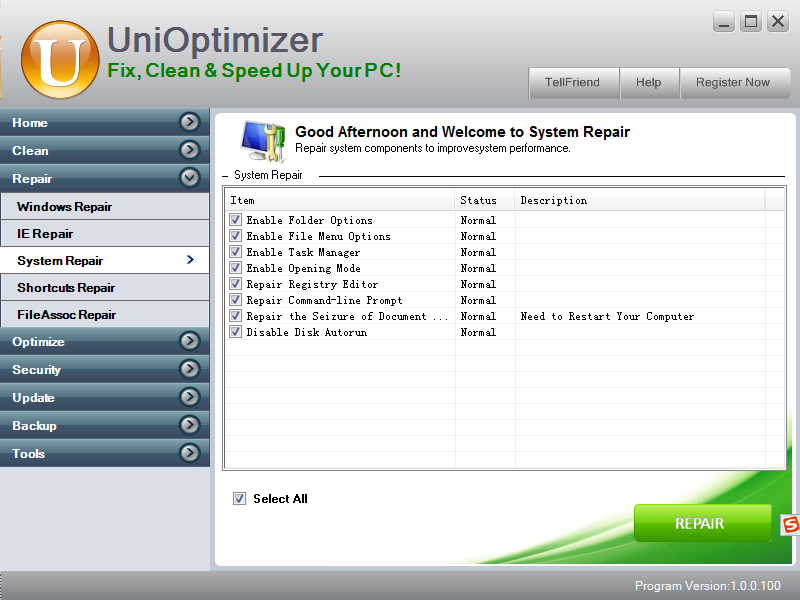 Its functionalities are classified into 7 categories: Clean, Repair,Optimize,Security,Update,Backup, and Tools. Every category includes several sub-modules. 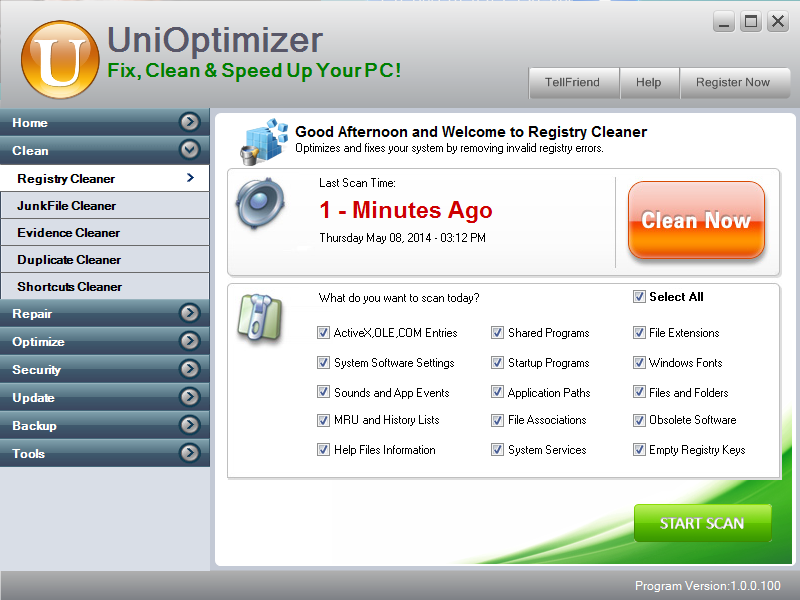 Registry Cleaner: Optimizes and fixes your system by removing invalid registry errors. 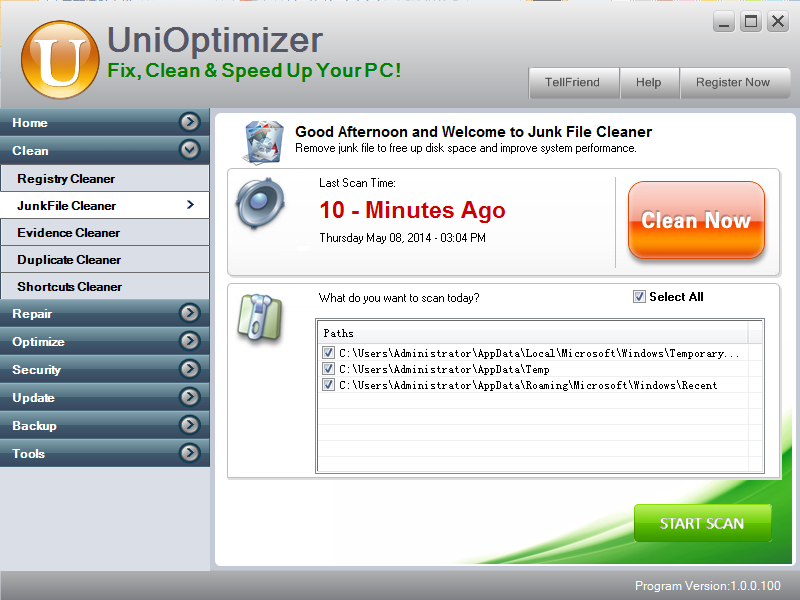 JunkFile Cleaner:Remove junk file to free up disk space and improve system performance. 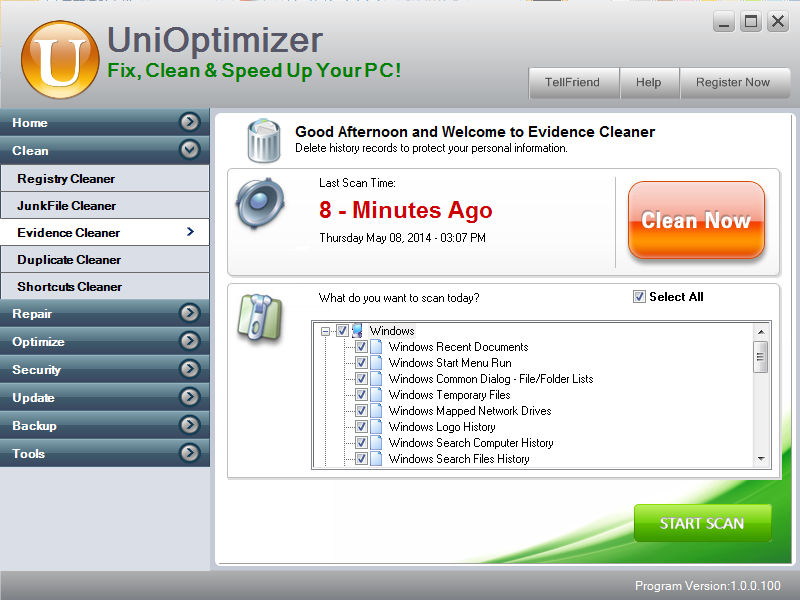 Evidence Cleaner: Delete history records to protect your personal information. Duplicate Cleaner: Delete history records to protect your personal information. Shortcuts Cleaner: Remove invalid shortcuts allows you to immediately find and access your files. 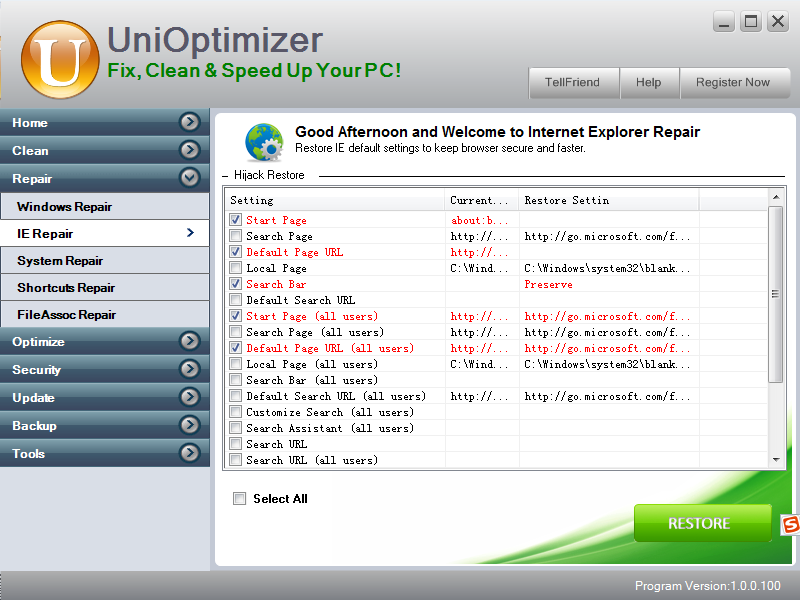 IE Repair: Restore IE default settings to keep browser secure and faster.Not occasionaly, your IE home page is changed to a strange website after you install a software or browse an evil website.You can use this function to change the home page back to the original one. The following are the IE settings you can restore. Shortcuts Repair: Repair invalid and broken shortcuts to improve system and application performance. 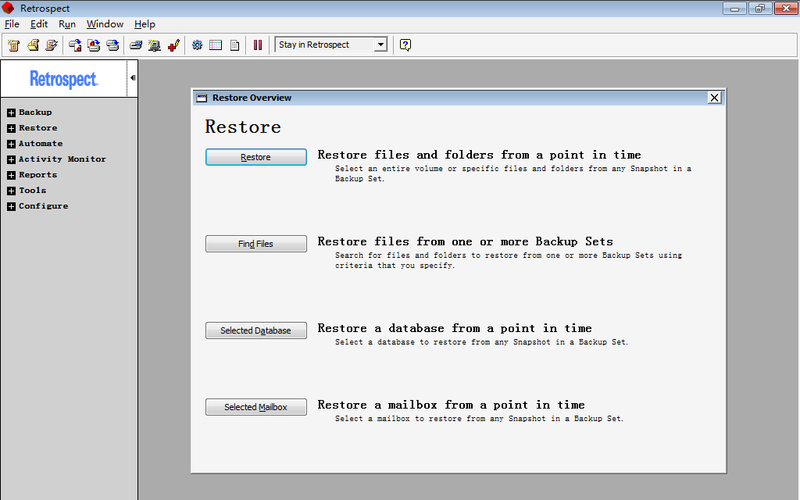 FileAssoc Repair: Repair broken file association to avoid future system crashing. 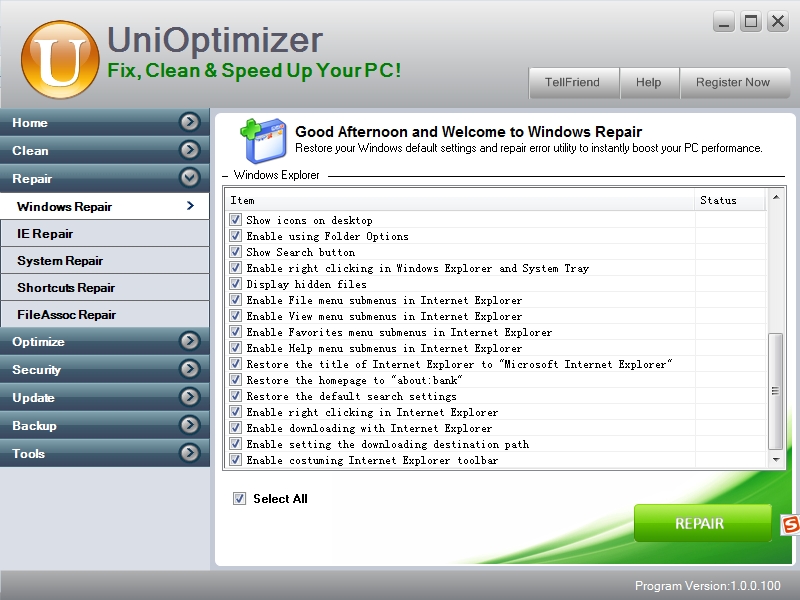 System Optimizer: System Optimizer will automatically optimize your system with the pre-settings of the optimization model that you can choose below. Windows Default:Reset to Windows default services. Campus Model:According to the circumstance of campus network, close some useless services, including printing service,terminal service, infrared device support, and wireless network support, but still remain Windows XP integrated firewall, and Network File sharing. This model is suitable for campus users to do some common actions such as browsing website, playing game, playing video file, sharing documents, and processing documents. terminal service, infrared device support, wireless network support, windows online update, Windows integrated. Office Model:Close a few services based on Windows default services, including terminal service, infrared device support,and wireless network support, but still remain Microsoft Networks File and Printer Sharing Service, Windows XP integrated firewall, and some compatible services. 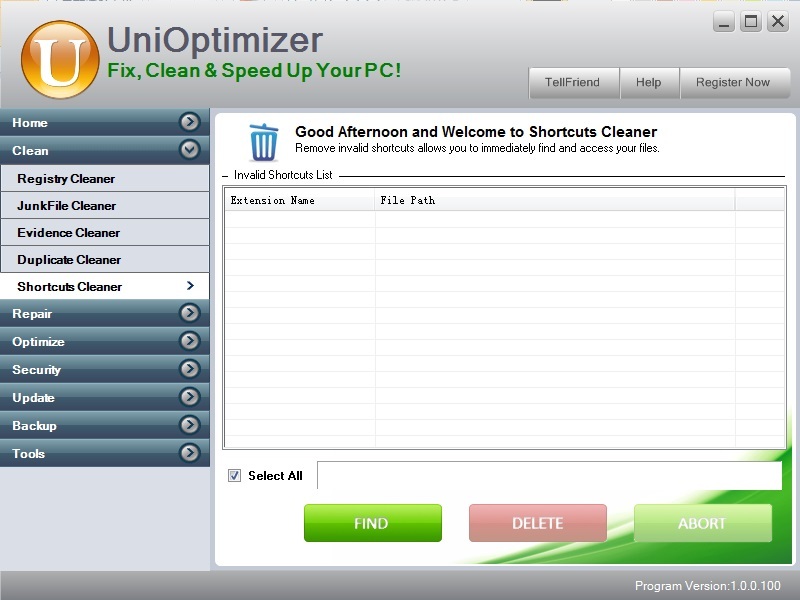 Besides supporting all functions of home-usage, it also makes system work fine during office and developing circumstance. Notebook Model:Close a few services based on Windows default services. Because most of the notebooks are used in office, it additionally opens wireless network and infrared device support based on Office PC Optimization Model. This is the most recommended model for most of notebook users. The system processes take up about 70M after the first installation of this model. Home Model:Close a few services that were infrequently used based on Windows XP default services, including printing service, computer browsing service, network file sharing, terminal service and infrared device support. 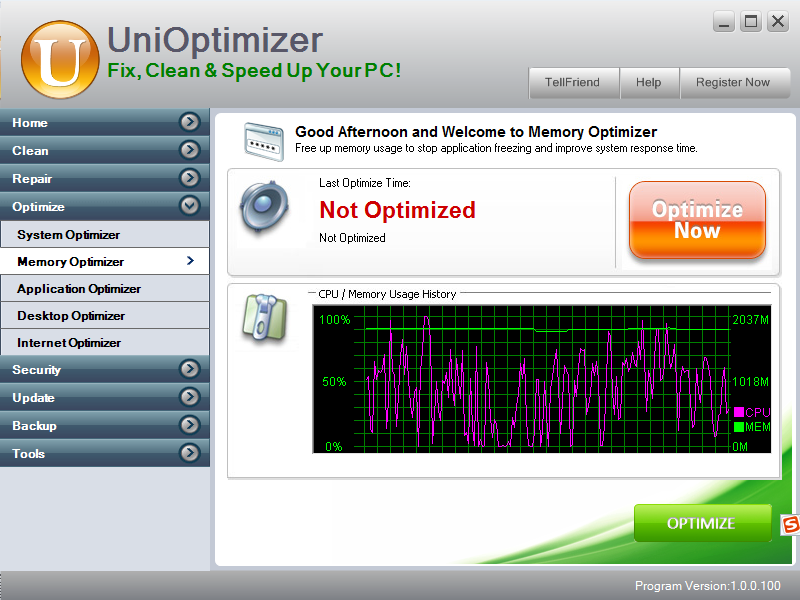 Memory Optimizer: Free up memory usage to stop application freezing and improve system response time. 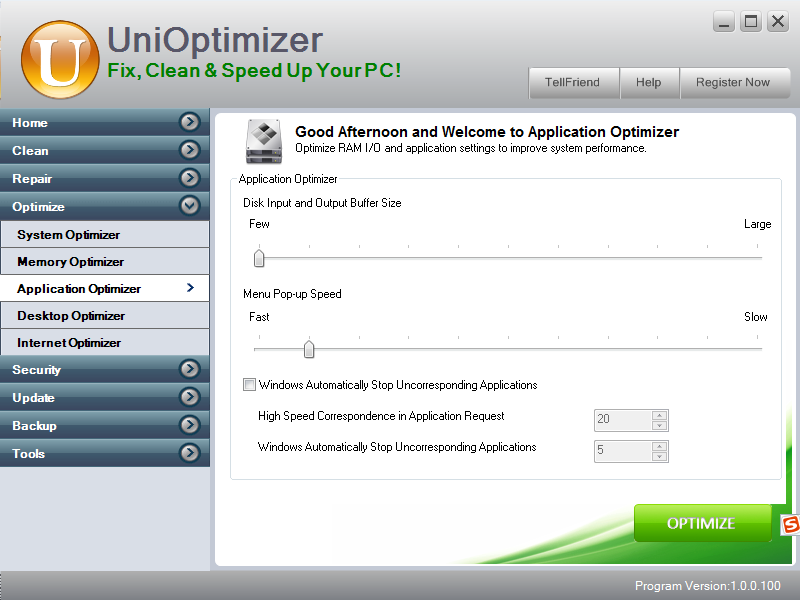 Application Optimizer: Optimize RAM I/O and application settings to improve system performance. 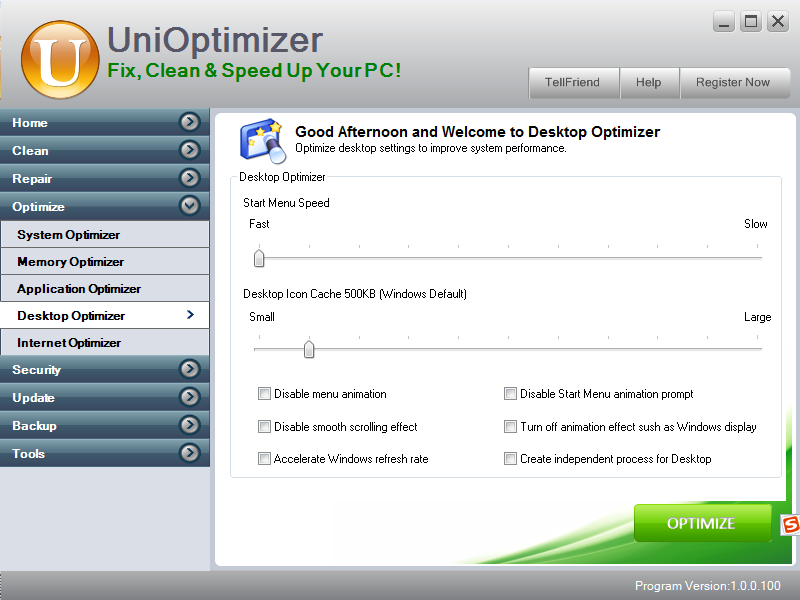 Desktop Optimizer: Optimize desktop settings to improve system performance. 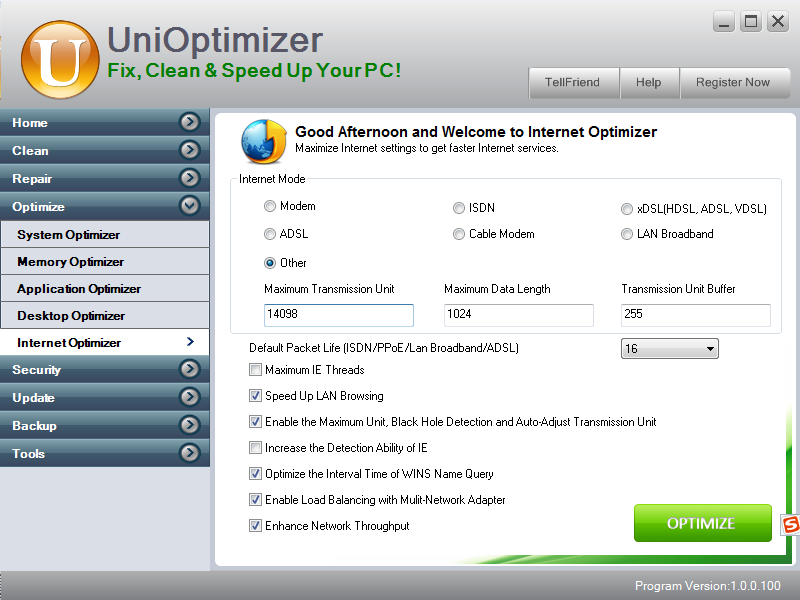 Internet Optimizer: Maximize Internet settings to get faster Internet services. Bad ActiveX Repair: Block malicious ActiveX and improve system security. 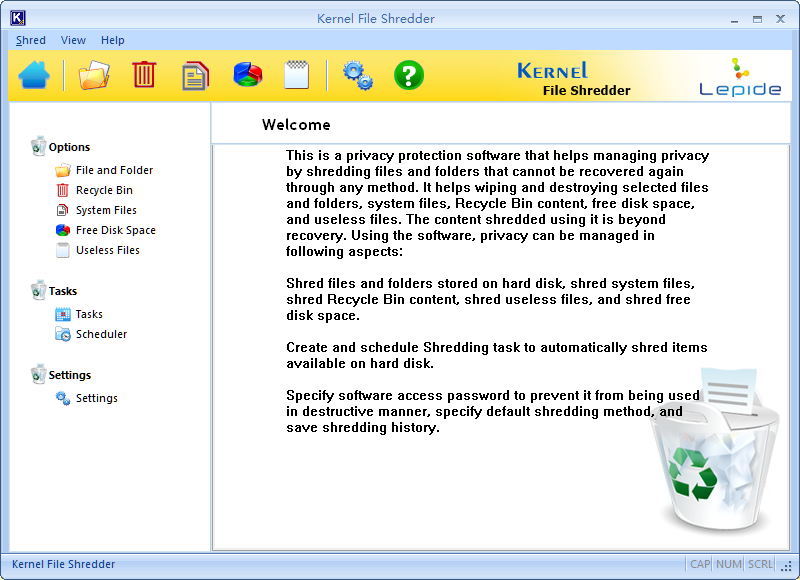 File Shredder: Delete sensitive files beyond recovery. Windows Update: Update Windows to improve its performance, security and stability. System Restore: Easy to restore your system by using system restore point. 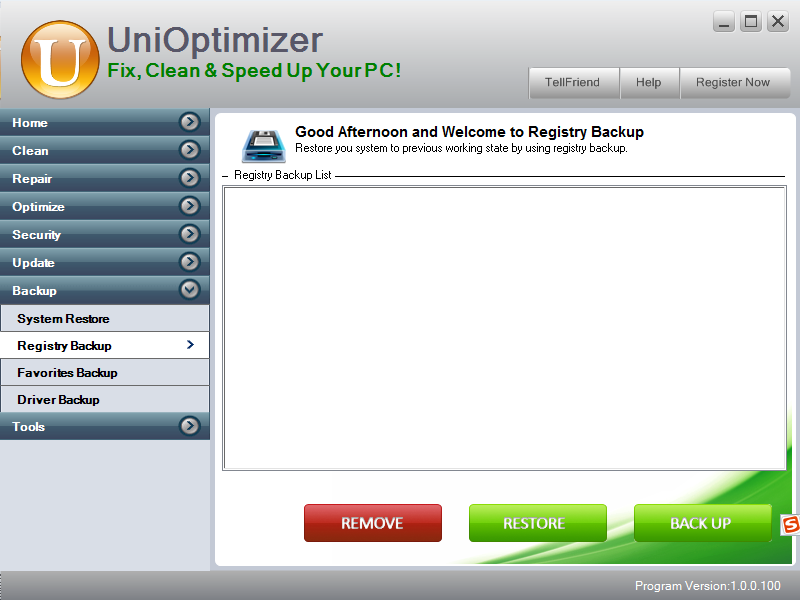 Registry Backup: Restore you system to previous working state by using registry backup. Favorites Backup: Back up you Favorites to avoid your favorite websites missing. Driver Backup: Easy to restore device drivers if uninstalled by accident. 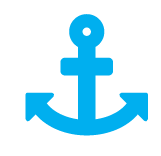 Startup Manager: Choose which programs you wish to launch at the Windows startup.